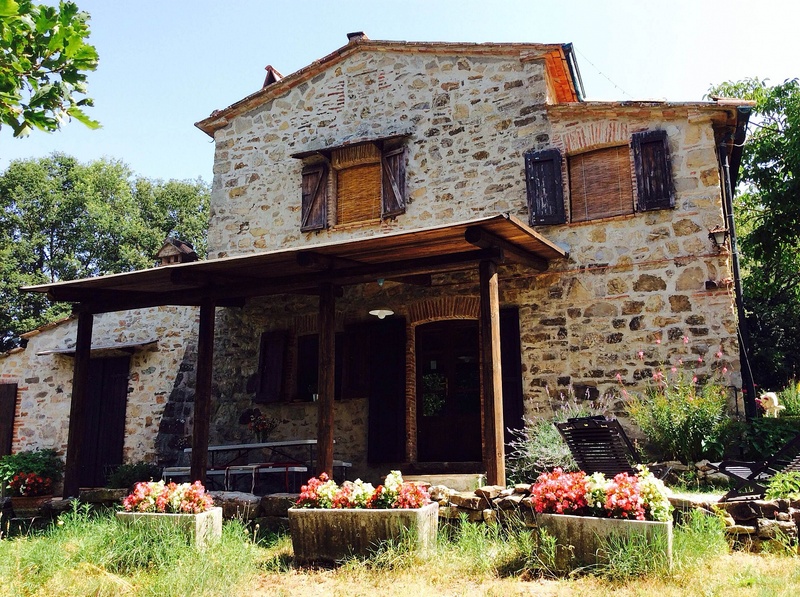 This Tuscany rental farmhouse is a peaceful medieval farmhouse sitting in an unspoilt valley on the border between the provinces of Siena and Pisa. The thick stone walls and the original layout of the inner rooms give this house an ancient atmosphere and a lovely cool temperature in summer. In winter the large fireplace in the living room creates a cozy nest. The simple and rustic décor and the natural setting of the house take you back to the slow pace ofrural life. The country house is made up of 3 bedrooms, each with its own full bathroom, two of which en-suite. A fully fitted kitchen and a living room with the fireplace are on the ground floor. On the second floor sits another bedroom, with its own entrance and bathroom. The garden develops over different levels and features different eating and relaxing spots under the secular trees, hammock, garden chairs, a little wooden playground for children and a big private pool. The area offers many activities like mountain biking, trekking etc. 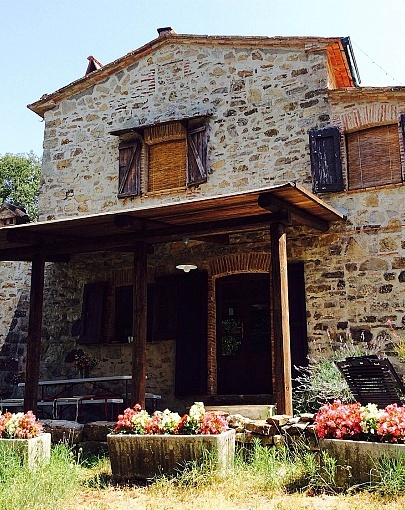 Velia, the owner who lives on site, is always available to suggest lovely excursions and to prepare genuine meals. WIFI is available at the house. Velia co-owns a marvellous restaurant in Radicondoli with her 2 sons Federico (Ghigo) and Tommaso. La Pergola di Radicondoli is not just renown for its authentic Tuscan cuisine, true to traditional recipes and fantastic Pizza. La Pergola also offers a terrace with a breathtaking view of the surrounding Tuscan hills, stretching from San Gimignano to Volterra. This is the ideal setting for a romantic dinner, or simply to enjoy a glass of local wine under the starlit sky, which turns everything into magic.